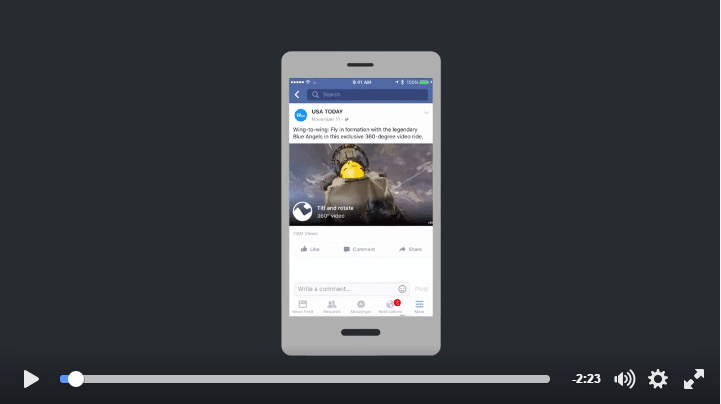 360 degree videos are gaining a mass of attention recently as Facebook have recently improved the format of the immersive videos on their main news feed. The concept of the video itself is not a new phenomenon as in March 2015 YouTube introduced the functionality for Android devices and HTML 5-enabled browsers on its site. 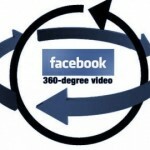 A few months later, in August 2015, Facebook followed by announcing its support for 360 degree videos. To illustrate the popularity between the platforms, let’s look at the viewership figures from ‘shark week’, hosted by the Discovery Channel in late August 2015. Facebook were the first to release the 360 degree video which allowed viewers to immerse themselves in shark infested waters, and after just 2 days, managed to receive over a million views. YouTube on the other hand, posted the content shortly after Facebook, but even after 4 weeks, the video had received just over 755,000 views. The advantage to Facebook videos is that they appear on users’ newsfeeds and automatically start playing. Moreover, the sharing propensity on Facebook is much greater. No matter which direction you tilt your phone, (or drag your cursor if you’re using a desktop) the 360 degree videos on Facebook look awesome. Towards the end of January, 2016, Facebook’s CEO, Mark Zuckerberg, released a video explaining the magic (or technology if you don’t believe in such things) behind the craze. According to the video, the technology behind the 360 degree angles is called cube-mapping. The content is mapped onto the net of a cube, and each of the 6 cube faces represents a direction relative to the viewer. This mapping process reduces the file size by 25%, which is extremely beneficial when they are appearing in users’ newsfeeds. The videos which are available in HD are processed in a similar way, but instead of mapping the content onto the net of a cube, it is mapped onto the net of a square-based pyramid. The reduction in the number of faces results in an 80% reduction in file size, but still maintains the high definition quality.